No doubt about it. 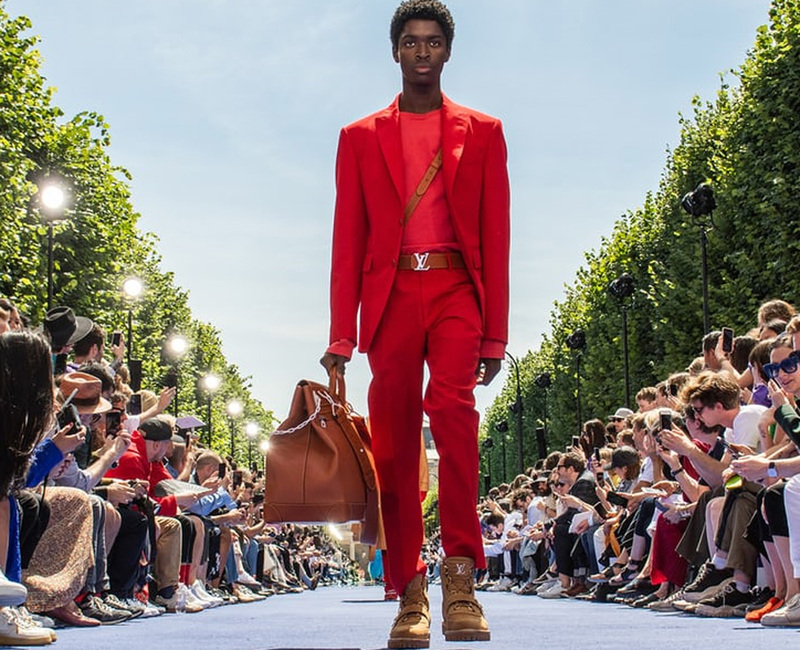 The appointment of Virgil Abloh as artistic director at Louis Vuitton marks not only a colossal career shift for the former DJ and producer, who achieved an antiestablishment respect with his Off White label; it also signaled the storied maison’s willingness to evolve with time by hearing the street’s noise. The creator of cult classics (Supreme, anyone?) and the hype that goes with them is now at the helm of a brand that, arguably, defines its financial success around accessories. 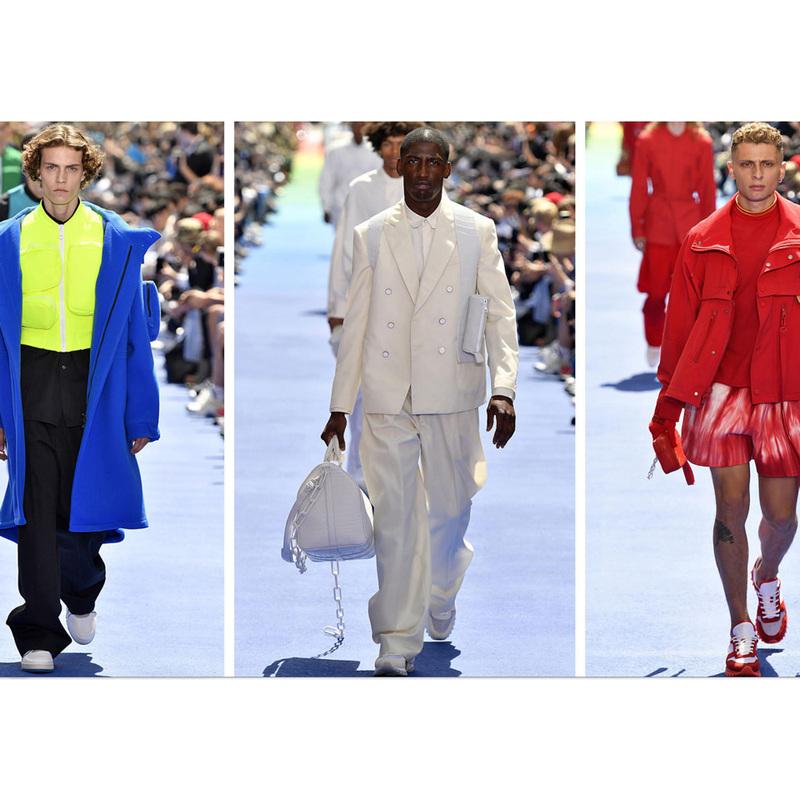 Abloh’s debut was made during an afternoon heat of the Palais-Royale gardens, when American designer introduced his take on Vuitton, starting with his modern take on classics in a 56-look collection Abloh called Colour Theory. 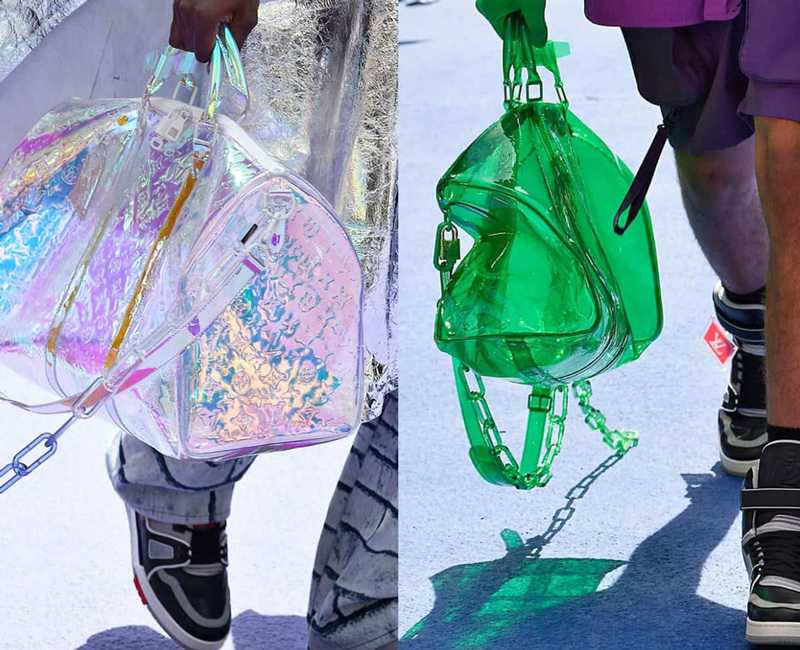 Abloh took signature bag silhouettes such as the large Keepall, the Runner and the Petit-Malle (a miniature version of the transatlantic trunks with which the house made its name in the 1800s) and reimagined them – some in red, green and iridescent plastic, others in matte leather with the traditional hardware detailing. Hanging off each was multicolored ceramic chains, which also were used as bracelets and necklaces, while creeper ankle boots and vintage suede sneakers completed the look. 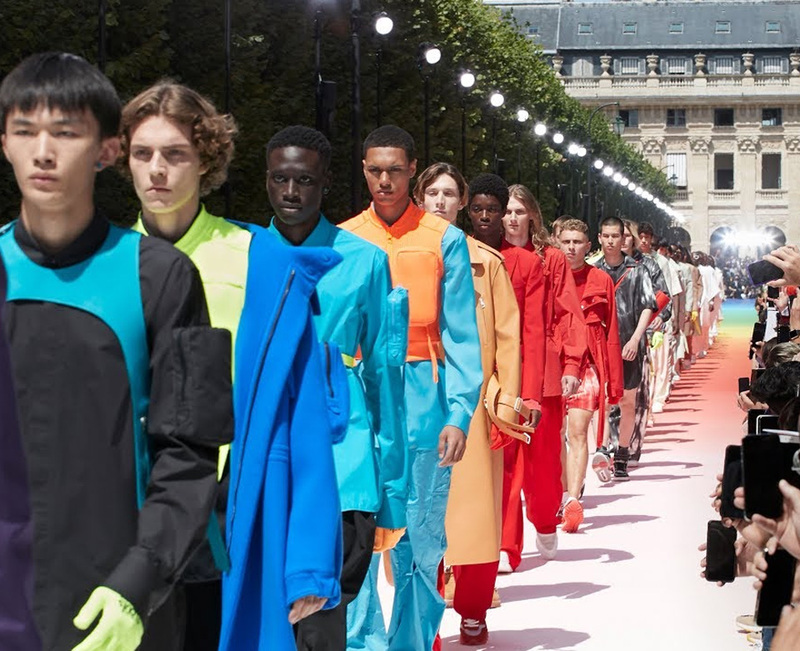 Judging by the posted organic revenue growth of 16% in the first three months of 2018, LVMH is enjoying the Abloh Effect. Here are some of our favorites looks from the collection.